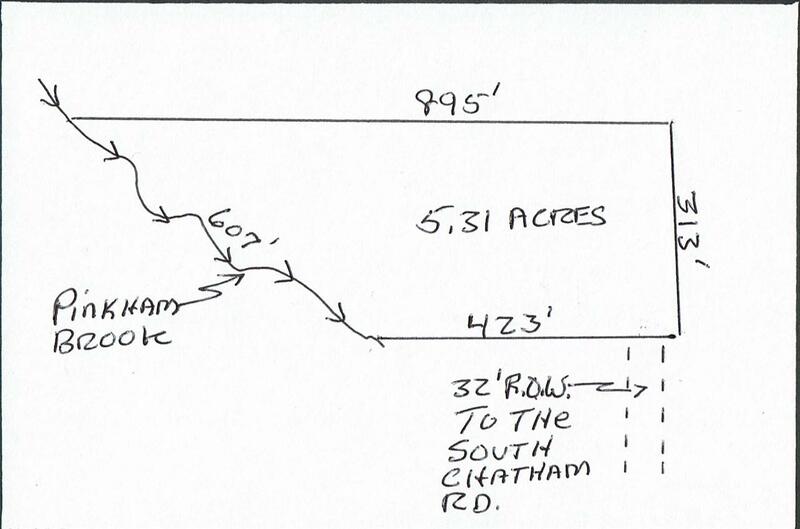 This 5 plus acre lot is accessed through another property fronting the South Chatham Road. The 32' R.O. W. is about 200' long and is fairly steep. There is no electricity to the parcel. The lot is wooded and has 607' frontage along Pinkham Brook.